Many Americans have resigned themselves to a lifetime of debt, no opportunity to save, and little hope that things may change. 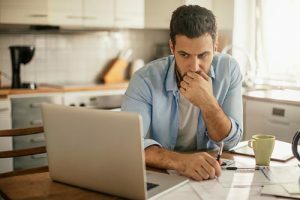 According to the Employee Benefit Research Institute, greater than half of all workers view themselves as falling behind in saving for retirement. High bank rates and fees are only parts of the struggle. Sound consumer habits play significant role in your ability to successfully overcome your financial challenges. NFDM can help you understand matters involved, so you can succeed in managing your debt. NFDM has helped thousands of people achieve relief from crushing debt and has provided advice about personal financial matters to many thousands of others. We have worked with schools, community groups, churches, charitable organizations and others to help people learn skills from the most basic to more advanced. We are on the cutting edge of the growing movement to provide a more comprehensive understanding of financial matters to consumers across the United States. Members of NFDM learn how to create and maintain a budget. Our counselors, consumer tools and educational materials lead the way for you to analyze your debt situation and develop a plan to realize both your short-term goals and your long term dreams. As a result, you can experience the reduced stress and relief from anxiety that comes as you gain control over your financial future. Read what others have said about their experiences with NFDM programs. Select from the links on this page, to learn more about NFDM programs, and experience for yourself what is possible when you become a member of NFDM.